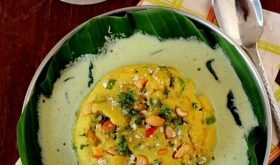 I have for you a simple moong dal recipe that I like to make when I am not in a mood to spend much time in the kitchen or when I run out of vegetables. This protein rich dal is satvik food at its best. 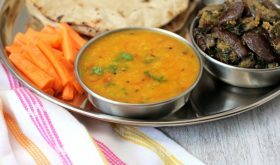 Simple soulful dal that makes you crave for more especially on a cold winter day. 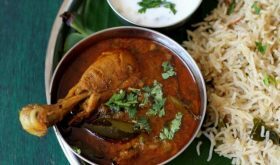 Jain recipes are simple, straightforward and nourishing with absolutely no onions and garlic going into their cooking. 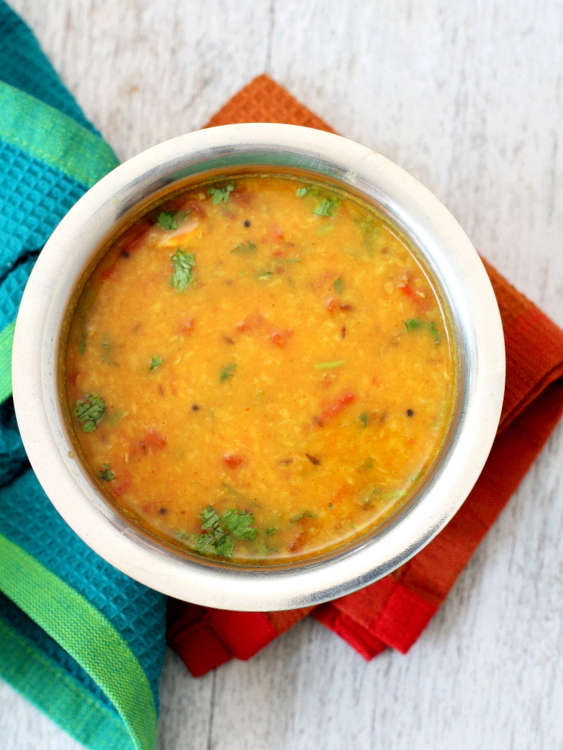 Add a cup of water, turmeric powder and washed moong dal in a stainless steel vessel and cook till the dal turns soft. Alternatively, you can pressure cook upto 2 whistles. Once the dal is cooked, add 1 1/2 cups of water, salt, bring to a boil and simmer. While the dal is simmering, prepare the tadka. Heat ghee or oil in a pan, once hot, add mustard seeds and allow to splutter. Add cumin seeds and once they turn brown add the asafoetida and green chili paste and mix. Add the chopped tomatoes and cook for 4 mts till they turn soft. Add this mixture along with jaggery to the simmering dal and cook on medium flame for another 4-5 mts and turn off flame. Remove to a serving bowl and garnish with fresh coriander leaves. You can add 1/2 tsp coriander powder for variation. 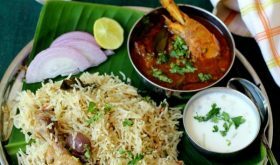 Vegans can use oil instead of ghee. By Sailu Published: January 27, 2014 Moong dal recipe in Jain style that is simple, comforting and tasty. 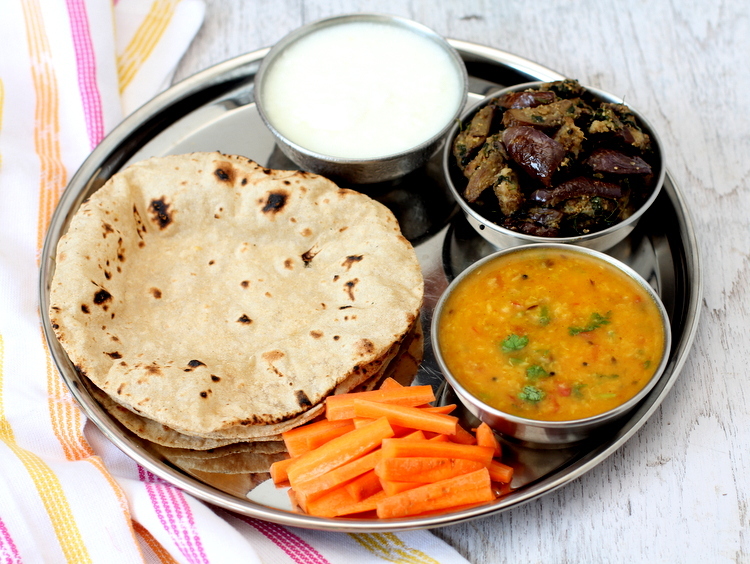 Learn how to make moong dal which is a gem among Jain recipes. can u provide recipe for methi baingan as well?? Sure. Will blog it this week. 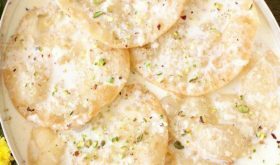 Tried this, loved it and now has become a regular at home. 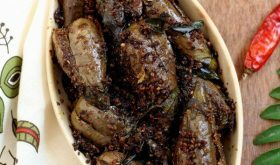 Waiting for Methi baingan recipe…. This sounds nice, I’ll give it a try for dinner tonight. This is a regular now… the best recipe with home made green chilli sauce can’t be beaten – Thank you!